I know next to nothing about archery. According to this video, even the little I thought I knew was completely wrong. An archers with a quiver on his back is a movie icon which is widespread throughout the world. But putting arrows in a quiver on your back is not a good solution. It is bad in motion and the archer cannot see his own arrows, as he has an enemy in front of him. He must focus on his quiver, which makes him vulnerable. 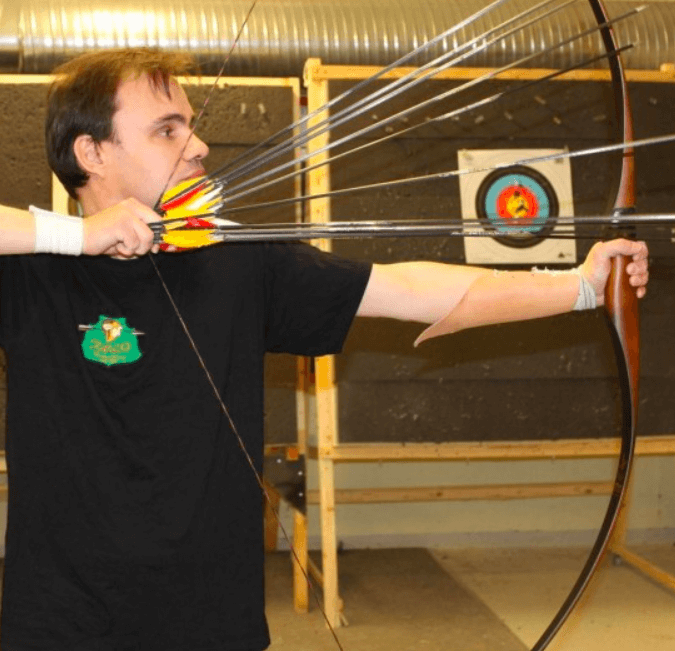 via WATCH: Incredible archer shows his speed-shooting skills – Boing Boing. 23 Jan 2015 in Aesthetics, Culture, Design, History, Modding, Technology. Robert Katon liked this on Facebook.